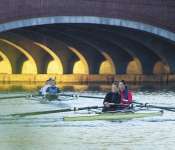 Crew Boats on Charles River - Crew teams practice year-round in preparation for the Annual Head of the Charles Regatta and other rowing events. 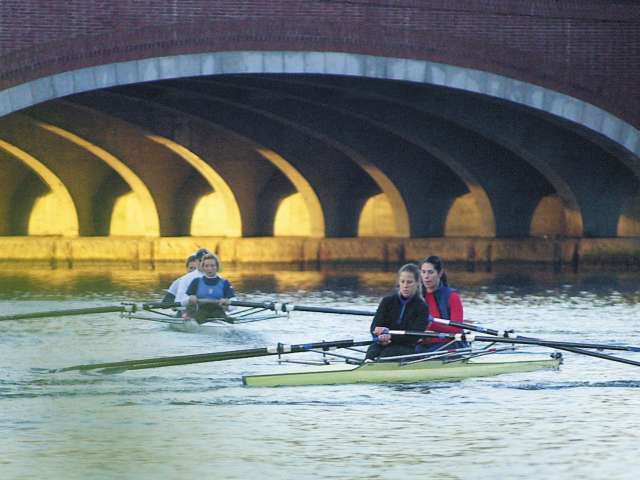 Original Size:4.4 x 6.7 Credit: "Greater Boston Convention & Visitors Bureau." Photos are for use by the press, for promotional materials, for print and the web. Images may not be sold and may not be used on materials for sale without the express written permission from the Greater Boston Convention & Visitors Bureau.